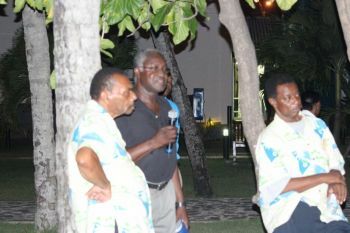 During a meeting held with Taxi and Livery operators to discuss issues surrounding the port development project following revelations that Carnival Cruise Line (CCL) had cancelled calls to the Virgin Islands (VI) for 2015, taxi drivers let loose in expressing their dismay and disappointment at the disclosure and criticised the Minister severely for being left out of consultations. Adamant that negotiations will continue with Norwegian Cruise Line (NCL) and Disney Cruise Line (DCL) regarding berthing agreements for the cruise pier in Road Town, the Works Minister said negotiations by government were done in good faith and nothing will deter them. Hon. 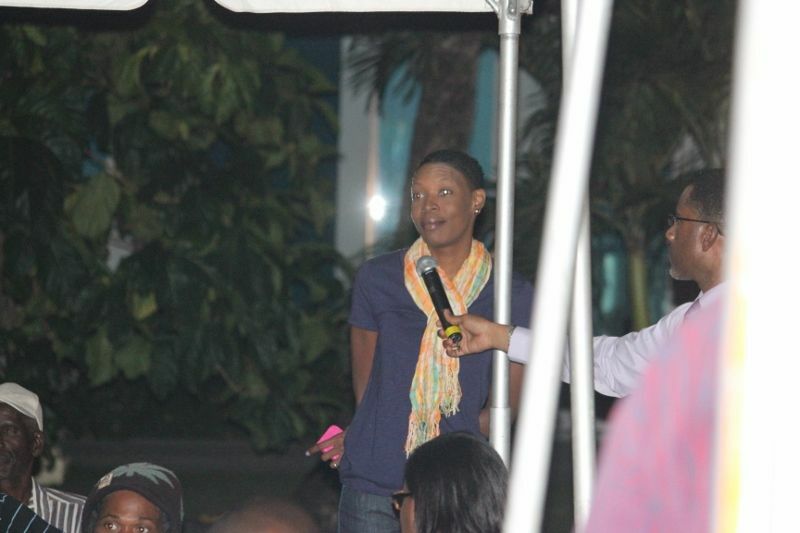 Vanterpool, who confessed that the cancellations were largely due to the failure of government to furnish CCL with confirmed bookings in advance as is customary, told the taxi drivers not to panic at the pending changes, but stood silently for the most part as they lashed out at the revelations. 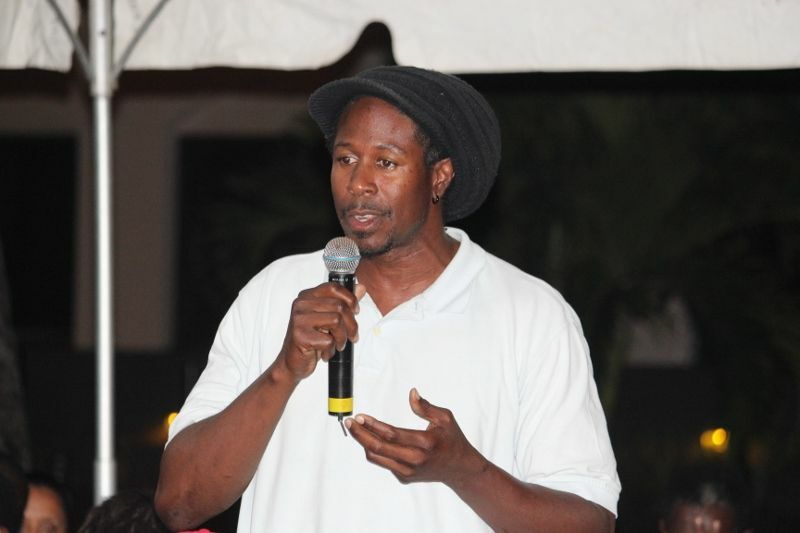 One taxi driver, Clinton, said he listened to Hon. Vanterpool and heard the same old stories as years before, “I want to know how long, how long the politicians will keep telling the people of this BVI lies and trying to put all kind of blindfolds on top of our eyes?” he asked. “We put you all in there to work for us, if you all can’t do what you all have to do, just tell us,” he continued. “These people are hurting out there on the street… you all have to do something better,” Clinton admonished. He argued that the proposed ships from NCL and DCL ‘don’t do nothing for the li’l man’ and only worked for tour agents, “the most they bring here, is five buses get a job out at the line over there… out of a hundred and something buses we have,” he said. Hon. Vanterpool said he is not misguiding anyone and is trying to tell the truth. He added that with the expected larger numbers of passengers, he was hopeful that taxi drivers as well as agents would benefit. 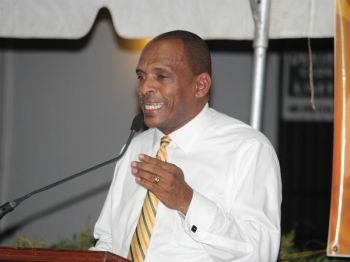 “The taxi drivers are the ones that we are most interested in making sure [that they] benefit from this…” he said while adding that NCL and DCL were the main cruise lines expected but were not the only ones. Another taxi driver, Karl Scatliffe, said CCL was one of the only cruise lines that came to the VI in the off season and expressed that an opportunity would be lost with their absence. “Carnival was one of the only ships that really stood up for us,” he added while questioning who was really negotiating on behalf of taxi drivers. 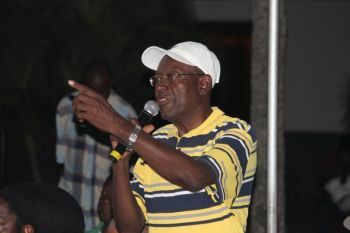 Scatliffe called for unity among taxi drivers and urged that they stand up and let their voices be heard while remarking that they always heard things after the fact which was ‘killing’ their business. 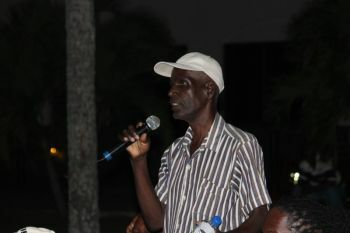 Charging that taxi drivers would become disenfranchised once the previous plan used with Tortola Pier Partners (TPP) were to remain in place, Julio Sam Henry said he looked forward to seeing a plan being presented to taxi drivers where they could all have access to cruise passengers. Hon. Vanterpool in response said there was a public tender and this is the offer that came forward. In response to this, Henry urged that Director of the BVI Ports Authority, Mr Claude Skelton-Cline be dismissed. “I’m going to make a statement and I’m being real calm with it and please don’t take it personal. 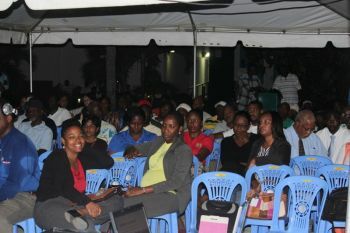 The Ports Director, Mr Claude Skelton-Cline, needs to be fired,” Henry said to loud applause and cheers from the crowd. 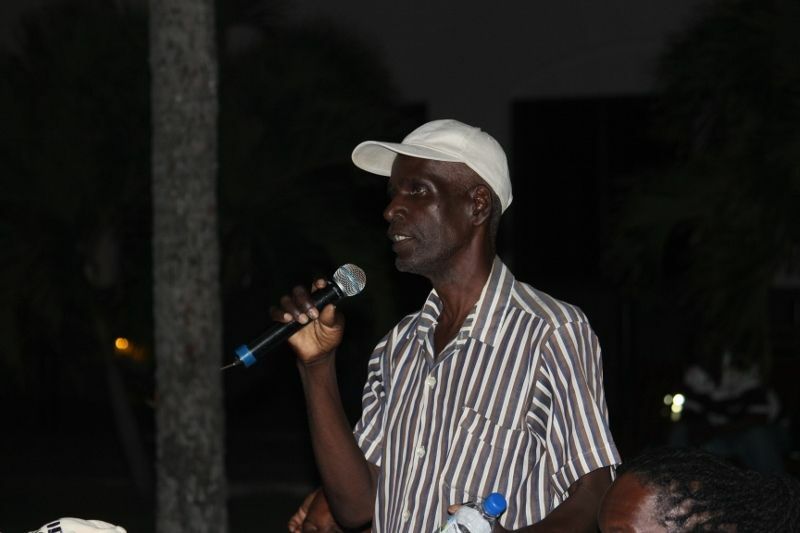 He also argued that if the person(s) who drew the previous plan for the cruise development project remained in consultation with government in trying to move the cruise pier development forward, then they too needed to be fired as well. Stop it Mr Minister! Stop it! Henry said he loved the Minister like a brother but urged him to stop and take stock of the situation and make an about turn. “When we talk about putting investment in this country to help the taxi man, we are helping the wider community. The taxi man is the extension of the businesses outside of that cruise port. When the taxi man don’t make money, the rest of the economy suffers,” Henry claimed. 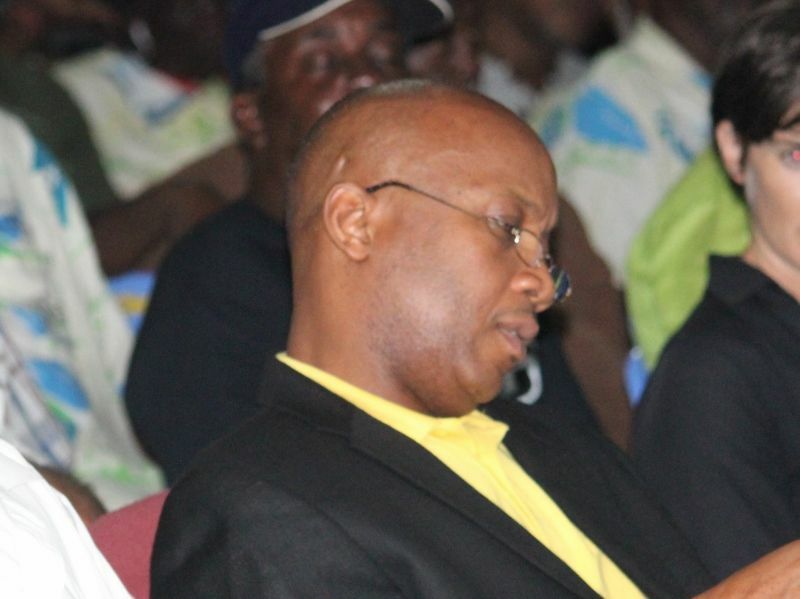 Henry argued that when someone from the top of the brass of CCL has to address the Minister in the media, you know that there is trouble. Following the meeting, Hon. 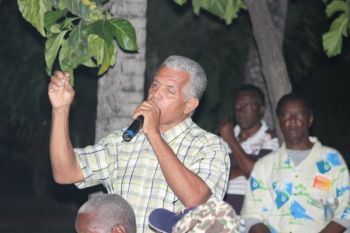 Vanterpool disagreed that the taxi drivers were neglected in negotiations but said he accepted the criticism they brought. He also admitted that there could have been more direct discussions and involvement of taxi drivers and said more can be done for them. “The expressions they have made tonight definitely got my attention so I have to take their views into consideration and discuss the matter with my group,” he said. He further stated that Henry had been very personal in some of his ‘attacks’ and though he did not agree with some of the comments, he said he would not offer a response. He declined to comment on whether government will proceed with negotiations with NCL and DCL at the exclusion of Carnival Cruise Line. Commenting on the notable absence of other government Ministers at the meeting, the Works Minister said the issue was his subject and the other Ministers understood that after he had indicated that a meeting was planned. This Minister is failing in everything he touches. One week he says one thing then the next week we always see opposite to what he said. If this government wasn't corrupt & into stuffing their own pockets then when the deal to develop the ports with mickey mouse had failed they would have gone to the next tenderer Royal Caribbean to get the job done. Why they didn't do that? Because they can't get their hands in RC pockets so we ALL must now suffer from the actions of these greedy NDP. This makes me sick to the stomach. my my my shut Your a$$ up..tough decisions has to be made and he is doing just that..wish he had frazier mentality sometimes..he would of never been given those taxi men all that attention..like thay are a bunch of little children..anyway we in the 4th got his back always..we are right there by his side..and he knows that! The NDP is proving daily that they are bas for this country.They talk a good talk but that's all it is...TALK. I must apologise to Fraser & Fahie because when they were telling us what the NDP signed with the UK in the form of the Protocols does not allow Mark & others to deliver what they continue to promise us the people, we, including me, accused them of being negative & hungry for power. But they are turning out to be 100% correct. You must state what you did to curb or solve the situation now or stop spewing what I consider to be bile. 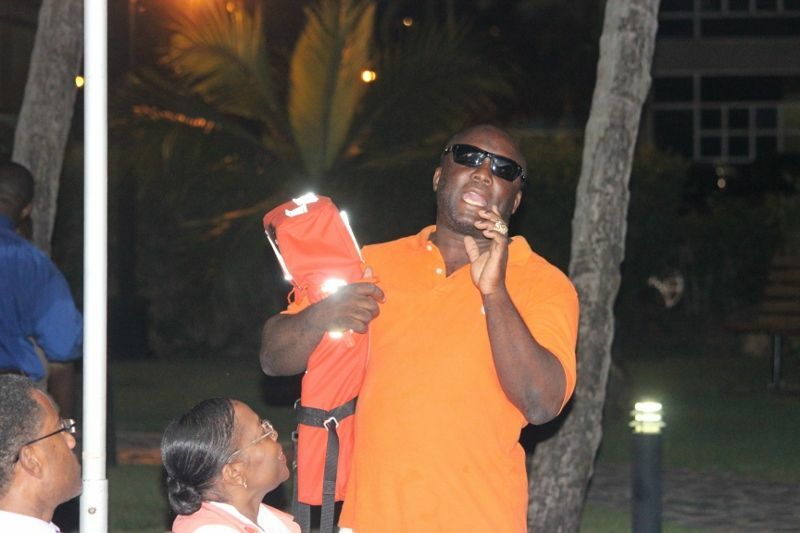 Every time something go wrong under this NDP Administration the NDP especially Mark & Myron always blame the VIP. Let us see who they going to blame for this ignorance now. This one look too fishy for me. Lord help us. All of this is happening due to greed & self interest for personal gain by the NDP. They only focussing on companies where they can get benefits not the people. This is a major crisis & under these jokers it will only get worse. Send help Lord. Head of Ports said in the news a few days earlier that the cruise season will be great. Days later Carnival Cruise drop this bombshell. This proves again that these NDP guys & their sidekicks are liars & deceivers. They say what they feel we want to hear but not what's the truth. What a crying shame! This is @ help.... VIP put us in this hole we are in now. We have a president bush here in the bvi and that is the VIP and now they are all so acting like the Republican after they allow alot of thing to happen they want to talk a Obama which is the ndp trying to make things happen dobyou.think is easy as one to three it takes time and sometime there some errors but given the chance things will work out. Fr***r kill the cruise industry and the taxi men knows that and now that the ndp is tring to at lease give us a sure thing by getting a contact that is security for years. The sooner you wake up from the spell the NDP have you under the better for you. The VIP had their ways but under them it was never this bad in this country. Plus M*** alone mash up the industry out of greed not the VIP. Try wake up asap. The writing is on the wall NDP must go!!! Half the taxi drivers don't pay their proper taxes like the rest of us. All they want is for themselves, not the country. Let them pay import duty on their vehicles like everyone else. They think they are so special and so much better than the rest of us. Don't believe me............just drive behind one for a while. They think they OWN the road. Try come up off of the taxi drivers because through them is how this country got built. If you don't know the history of a place keep your stupid mouth shut. there are more taxi drivers per person in BVI than in new York city. fact. many of the old timers used to carry 2 or 3 jobs. Now new youngsters lobbying for full time and entitlement when it is a service. plain and simple. Adjustments will have to be made one way or another. There are too many drivers for the volume and need. That said, I agree that there is something fishy about the agreement with Disney and Norwegian and then cancelling the agreement. It still remains that the 2 companies seem to control the rights to the dock. It was predictable. Maybe even "pay us $1.7 mil or give us control of the dock". Nothing with this fellow & his sidekicks surprises me because the way anyone handles their business & family is the same way they will handle leading a country no matter how good they sound the results will be the same. I commend all the taxi supporters who came out in numbers and put this government administration in place. No it is time to move them out and get rid of CSC. A miserable failure to this community. And more to be mention on people who are doing things for this country. Open your eyes BVI. I'm given the (NDP) National Dose of Poison one more chance stop playing jack in the box with my country for conduting personal business with tax payer monies or I have to send the Adam's Family from the UK to take over...........I going to have my tea. BVI if the taxi men not doing well we are all in trouble. Carnival is not making joke with us this time. as a nation we need Carnival and I hope that this government does not allow them to leave our ports. Is the NDP really right for our country? But what is the option. HMMMMMMMMMMMMM. God will have to provide!!!!!!!!!! what the hell is wrong with loud mouth Dude julio? Remember the white man that live and have business here, don't want to see crewship here .White man gov. politicians have to put on a good show for the cheap seats in the back but their reckless and wanton accusations, arrogance and just plain venom being spewed all over people who not being any chance to defend themselves or actions just shows the basic level at which you operate. People of BVI need to petition Her Majesty to take over government of the territory. 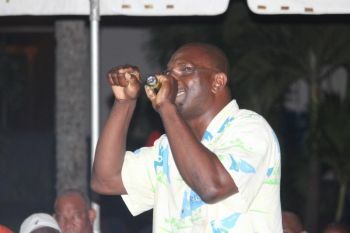 Nothing could be worse than the incompetents and thieves that run BVI now, and the opposition ain't much better.